I was walking my dog this morning--the usual route through my neighbourhood. It is a crisp and clear day, the sun peeking out sheepishly behind the ersatz celestial bedcovers of clouds. I have a very large breed dog, one who elicits every reaction from fear/avoidance, to grins and blithe indifference. A woman came down the sidewalk from the approaching direction, seemingly with the latter disposition. I say this because the gigantic sunglasses she was wearing hid any dare of outward mood. Her expression was blank, even slightly dismissive as I offered a "hello" (as I had been, all morning, to all I greeted). Now, I don't expect everyone I encounter to acknowledge my gestures or presence. I can certainly appreciate a woman perceiving a friendly morning smile and 'hello' as unwanted flirtation, or even just intruding on her insulated experience (she was also wearing earbuds). 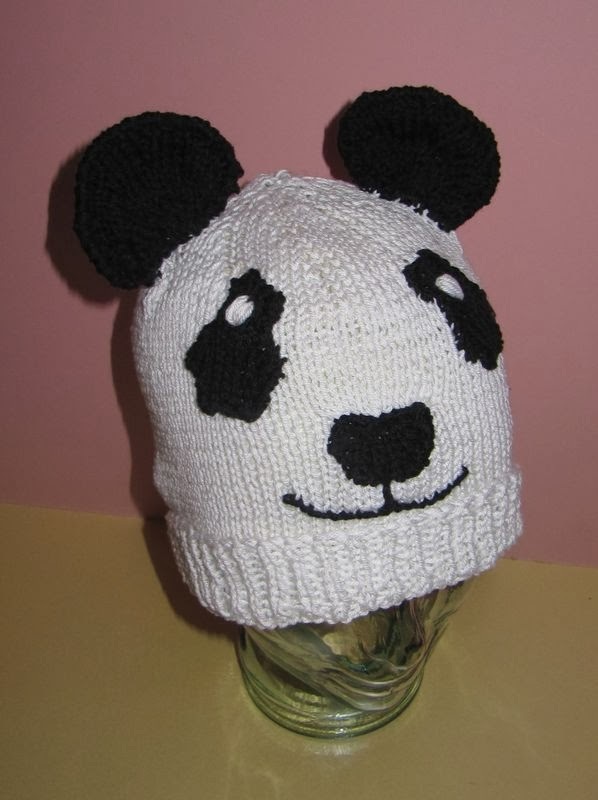 What did jump out at me, in kind of a ridiculous way, was that she was wearing a very distinctive animal beanie on her head. You know: kitty/doggie/bunny ears perked up high, Nordic chin ties dangling down. Kind of like a five year-old hasidic jew in animal drag. So the slight frown and dismissal of my greeting suddenly made the whole experience profoundly ridiculous. As I walked past her, my gangly, huge young dog trotting down the block, sniffing, peeing, mushing his face in the melting snow, I began to laugh at the encounter. I'm not singling this woman out here. There are plenty of days where I want to shield myself from the intrusions of the world--especially the rage-provoking imposition of someone else's insistence, through a smiling suggestion that I connect on a human level, to 'lighten up' and be happy. Sometimes we just want to be insulated in our grouchiness. I'm serious. And yet, as I type that sentence, I see the absurdity of the statement. We are walking contradictions. We seek to belong, to feel a 'part of' the world, while simultaneously wanting it to leave us alone. The paradox is akin to the early stage of development of our childhood--'come here...leave me alone.' We want the autonomy and the attention. We are all trying to walk this tightrope of emotional need and stoicism. Somewhere along the way, we learned to try and hide it, to put on the mask that "I'm ok. I don't need anyone." There is a simple and heartbreaking reason for this adaptation: fear and shame. Social Psychologist Brené Brown talks about this via the conversation about vulnerability. The fear part of the equation is that we are afraid to show our true selves for fear that we will be rejected, for being too weak, too open--not what we think others expect from us. There is a primal, evolutionary driver beneath this: weaker herd members die alone, hungry. The deeper catalyst for shutting down is shame. That is, we feel at our core (and as the result of gaps in our attachments in early life, the lack from feeling insecure, dismissed or not truly seen/heard) that we are not enough. And the fact that we dislike and want to divest ourselves of this feeling is a strong motivator to keep others from seeing this illusory core flaw in ourselves. In truth, the opposite (as Brown's research shows us) is true. When we turn inward/outward stress into social connectedness through vulnerability, openness (what I would call 'being human' with ourselves and others), we allay these self-distortions, and find solace, support and resilience. We no longer hide from ourselves, from life. 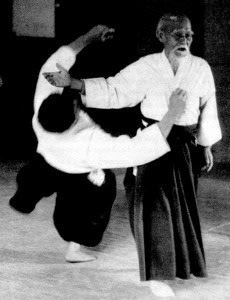 In Aikido class last night I was teaching my black belt students how to deal with a knife thrust to the abdomen. The exercise is less about control of the weapon, as it is control of one's own fear. 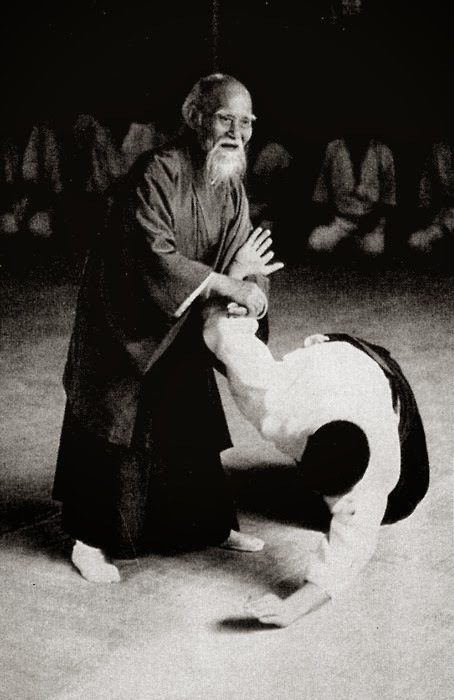 When we offer ourselves to our attacker with openness and fearlessness, a willingness to die in the act of being fully present, and subsequently move in synchronized step with their movement, the 'target' ceases to be there (nor the collision of attacker/defender). The attacker's subconscious mind perceives total vulnerability, and at the moment of anticipated full-power contact, the defender turns to let the weapon glance by, while applying downward energy. The attack is controlled because the attacker's energy has been matched without reaction, and their power absorbed. When we relinquish our sense of having something to defend, we become invincible. We see the preciousness of our own life as vital as that of our so-called opponent. In effect, we are overcoming our own ego-defensiveness. We are taking appropriate, in-the-moment action to reduce the conflict. As I say often in my class: we are not training for the unlikely, though ultimate, challenge of someone challenging our life--that comes as a byproduct of the training. We are training to overcome the aggression and fear towards ourselves, to help us foster self-responsibility and coexistence in daily life.